Our April Plant of the Month is the Orchid. The orchid comes in a large variety of types. They can be small or large, used in floral arrangements or on their own as a statement, indoor plant. Despite the variety of shapes, sizes and colors, it is easy to identify an orchid. These classic flowers are unique and simple but elegant. 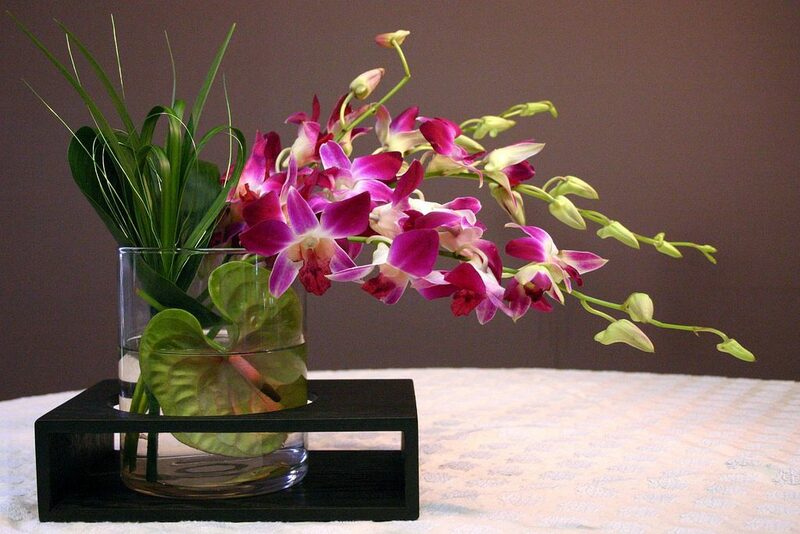 Cymbidium orchids are small flowers that are perfect for corsages and other wedding work. If you’ve worn an orchid, it was a cymbidium. They can also be used in arrangements like the one in the picture. 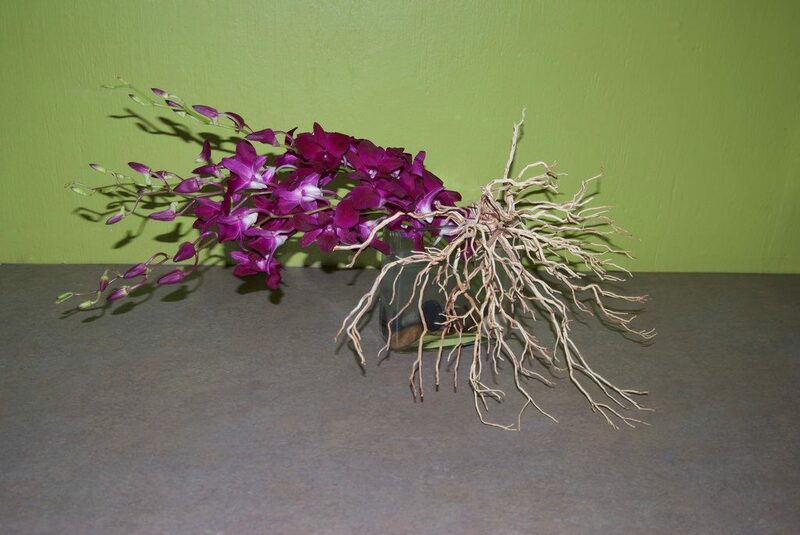 Dendrobium orchids are the kind we use in our color rotations for our interior plant clients. They produce big blooms in white, lavender, yellow and pink. They are striking but elegant and make a statement in office spaces. 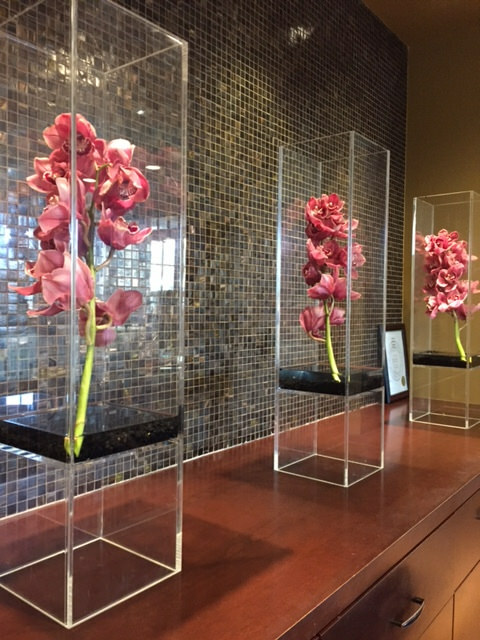 As you can see by all the pictures, orchids are very versatile and a single stem can add a lot to a room or arrangement! Orchids need a good bit of water but should be allowed to dry out completely in between waterings. 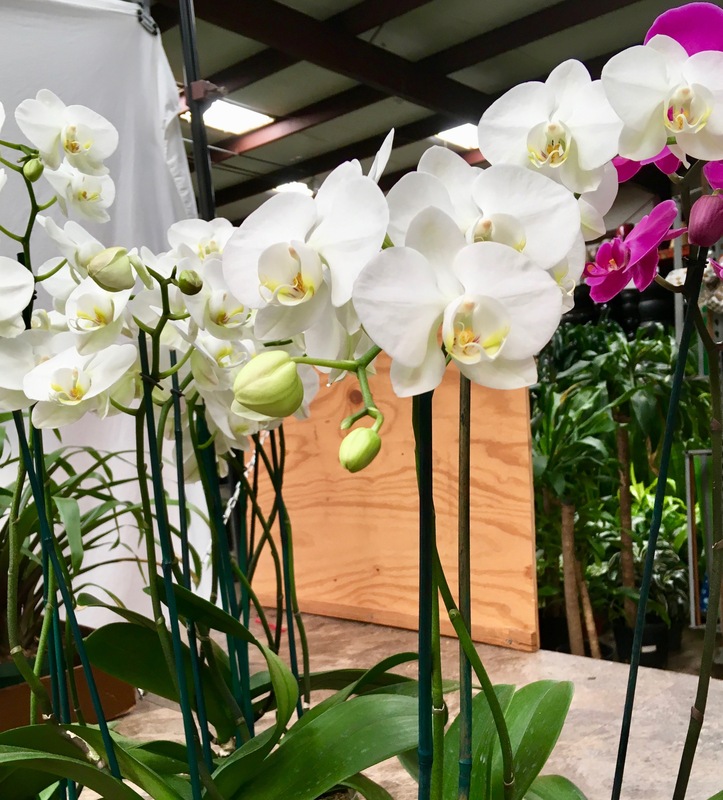 Orchids thrive in bright but indirect sunlight. What do you think? 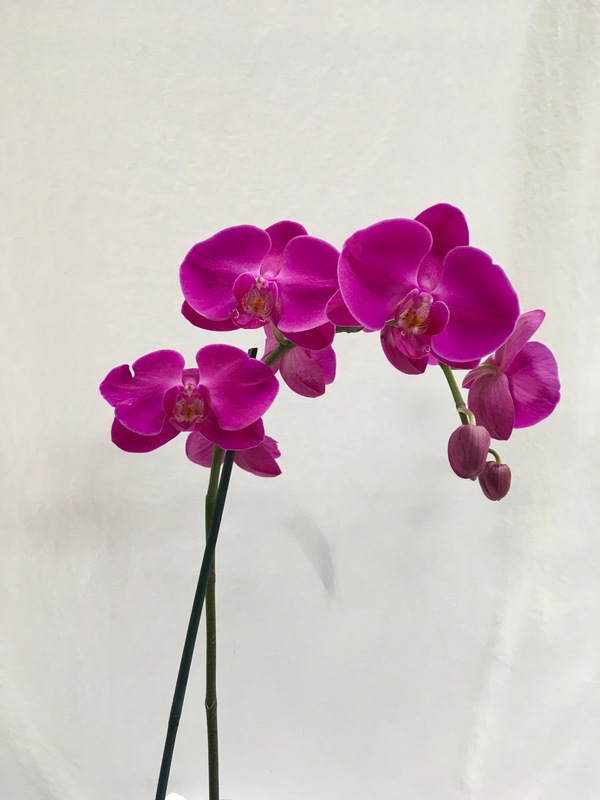 Are you a fan of orchids like we are?